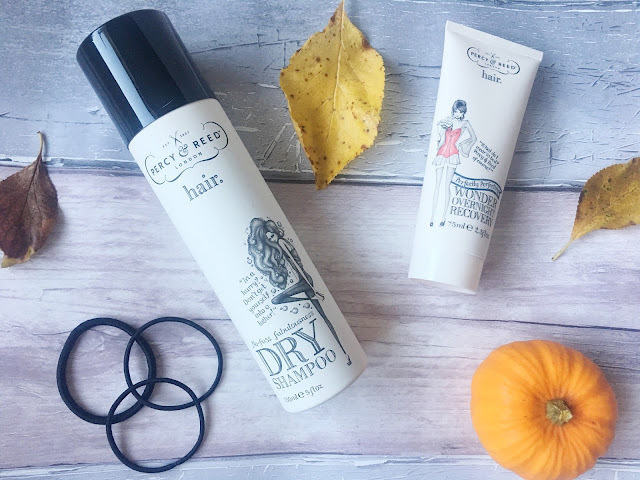 Back in September I received my Cohorted subscription box, which if you fancy seeing that review you can find it HERE. 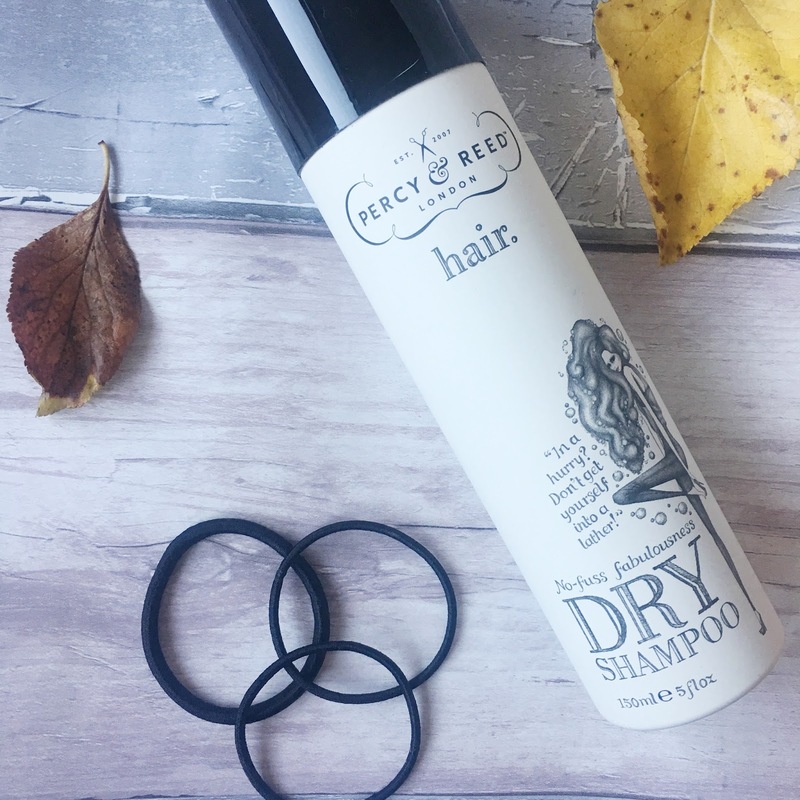 Amongst other items, were two hair products from a London based company called Percy & Reed. I'd never heard of the brand before, but was quite excited to put the to the rest and see how they worked. I received the Overnight Recovery and Dry Shampoo. I usually use Batiste, so was interested to see how theirs compared. The mask was the one I was most looking forward to trying out of the two. I use DS either of a night time before bed, to allow the tossing and turning to rub it in fully, or if I forget (which is about 90% of the time), I'll use it during the day when it's needed. The first time trying the Percy & Reed DS, I applied it in the evening. It doesn't spray as white as other DS's, but it does have a slight whiteness to it so you can tell where you've applied it. Unfortunately, I noticed my hair felt itchy straight away. more so than when I use other ones. I didn't like the smell when the product was being sprayed. Its a strong chemical like smell. Luckily, that doesn't stay put and within minutes it does disappear. The next morning, more was needed and I did find I had to use a fair bit which is never really a good thing. As I mentioned earlier, this was the one out of the two I was most looking forward to trying. I love the idea of hair masks, but very rarely treat my hair to one. Mainly because I don't like the feeling of wet hair while I'm sleeping, don't like the mess on the pillow and sometimes the smell can be a little too strong to sleep with. Percy & Reeds mask promised to dry into my hair and therefore leaving me with a dry head and most importantly, a dry pillow. I concentrated on my roots and ensured I applied enough to cover the top part of my head. I then added more to the length. Unfortunately, like the dry shampoo, I did find that I had to use quite a lot of product. So for the fear of running out too quickly, I didn't apply as much as I could have to the length and tips. There was no overpowering smell from the product, just like your average shampoo I guess. Within 5 minutes, (as promised) my hair was dry and didn't look as though I had put anything in. The next morning I washed my hair with shampoo as usual and since it stated on the bottle conditioner was not needed, didn't bother using any. Blow drying my hair was pretty easy and straight away I noticed my hair was a lot more manageable and I didn't have this horrible frizz. Straightening it was also a breeze. No problems and I think the mask actually made it easier to straighten. My hair didn't only look great, but it felt it too. Although I hadn't used conditioner, it felt very conditioned; soft and silky. Will I be buying any of these in future?.. The dry shampoo; probably not. Purely for the reason that it does the same as the brand I usually use. Percy & Reed's one sets you back around £12, whereas other brands can be a lot cheaper. If you're like me and use DS a few times a week, it can get a bit pricey. When you also look at the amount you get in a bottle, other brands are usually from 200ml+, whereas Percy & Reed's is only 150ml - so you don't really get a lot for your money. I found I had to use a lot to get the results i wanted and because of this, I don't think I'll get many more uses from the bottle. As for the recovery mask, yes I probably would. 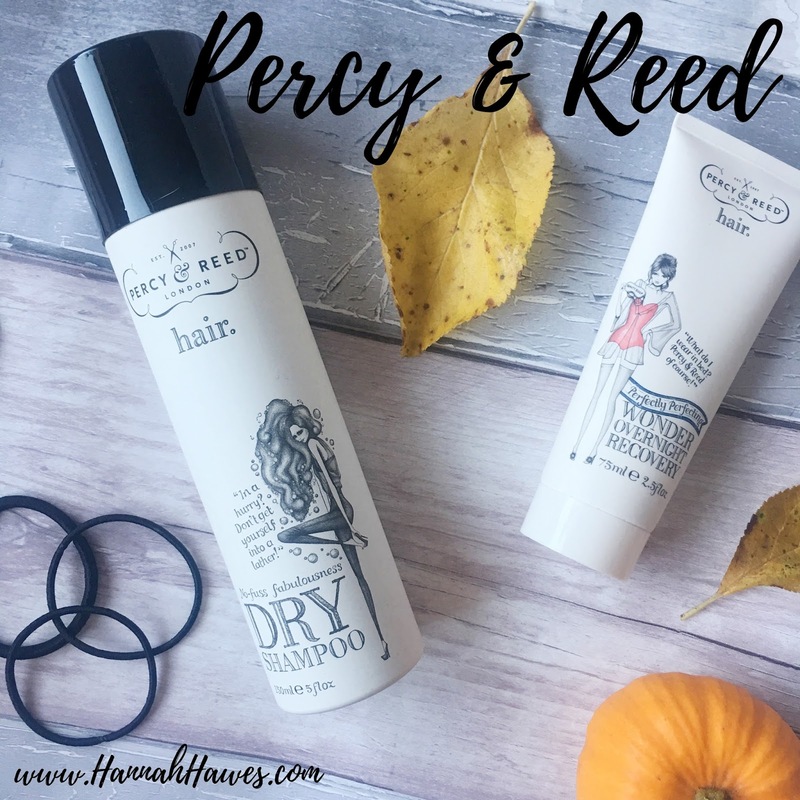 Have you heard of Percy & Reed before? 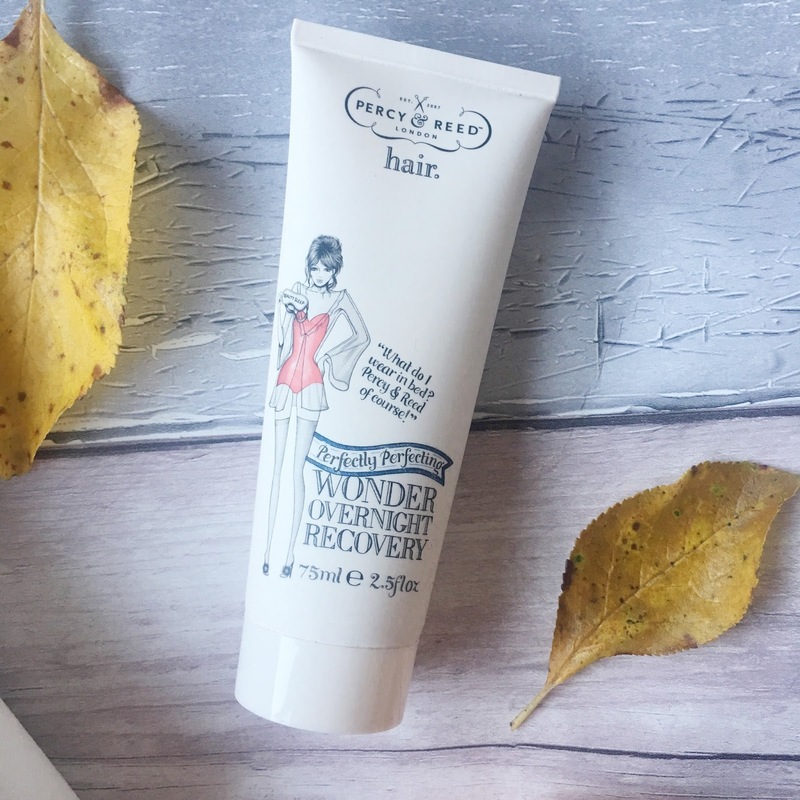 Have you ever tried any of their products? I'd love to hear your recommendations for a good night mask.